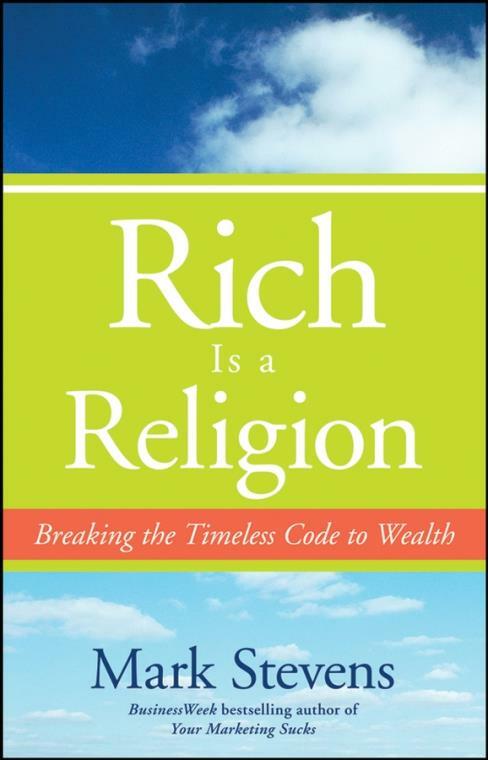 "If you believe as I do that personal relationships are everything, then you must read Mark Stevens′s new book, Rich Is a Religion. He brilliantly shares, and you will learn how to best develop relationships with your money and enjoy your life! Give yourself a huge ′hug′ and read this exciting book today!" "Mark Stevens′s visionary approach to wealth–building will change the way you think about personal and business finance. If you want to navigate the road to riches, you′ll want to use Stevens as your North Star." "Mark Stevens has poked, prodded, and challenged the wisdom of convention and created a road map to wealth! Mark has the uncanny ability to hear the whispers of the universe and...to translate them into life lessons for all. A must–read for young people! Finally, a book that provides practical advice on how to acquire and manage wealth!" First, A Foundation and a Firewall. Chapter 4: Fairy Tale Finance. Chapter 6: The Atheists of the Religion of the Rich. Chapter 7: The Paradoxical Secret. Chapter 8: The Real Value. Appendix: The Unconventional Wisdom of the Religion of the Rich: A Collection of Blogs.